Two labs — CDX Analytics in Salem and MCR Labs in Framingham — were issued “commence full operations” notices by the Cannabis Control Commission on Wednesday. Both labs received final licenses from the agency in mid-October but had to pass a final inspection and clear other minor regulatory hurdles before getting the official go-ahead to begin testing recreational pot for purity and potency. The labs must wait “a minimum of three calendar days to coordinate opening-day logistics with their host community, local law enforcement, marijuana establishment colleagues, and other essential stakeholders before adult-use operations begin,” the commission stated. The announcement comes almost exactly two years after 1.8 million Massachusetts residents voted to legalize marijuana and establish a system of regulated commercial sales of the drug. Shortly after the 2016 vote, state lawmakers delayed the implementation of commercial sales by six months to July 2018 while they substantially rewrote the ballot initiative. But the commission failed to hit that target date as it worked to bolster its staff, process applications, and inspect marijuana businesses for compliance with a lengthy list of regulations mandated by the state law. 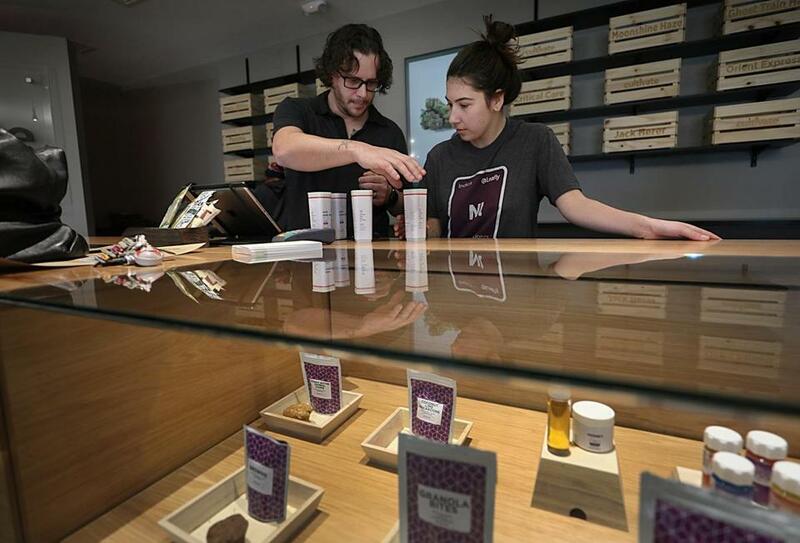 Employees Nick Jarrin, left and Kaylee Castell checked out a customer buying medical marijuana products at Cultivate. Now, one of the last remaining next steps will be for the commission to issue “commence full operations” notices to the first two retail stores to win final licenses from the state: Cultivate in Leicester and New England Treatment Access in Northampton. Both operate as medical marijuana dispensaries and are expected to open for recreational sales before the end of next week. Sam Barber, president of Cultivate, said commission inspectors have not conducted the final walk-through of his facility but are likely to do so “soon.” He said the company has completed other required steps: getting waivers from state health regulators to allow non-patients in the shop and to transfer medical marijuana products to the recreational system; uploading its product inventory into the commission’s “seed-to-sale” tracking system; submitting employees to background checks and fingerprinting; and making security arrangements to handle the expected long line of customers on opening day. Peter Brown, a spokesman for New England Treatment Access, said the commission has not inspected its store in Northampton but the company is prepared to open as soon as regulators give the green light. Michael Kahn, the president of MCR Labs, hailed Wednesday’s decision by the commission to allow laboratories to begin operations. 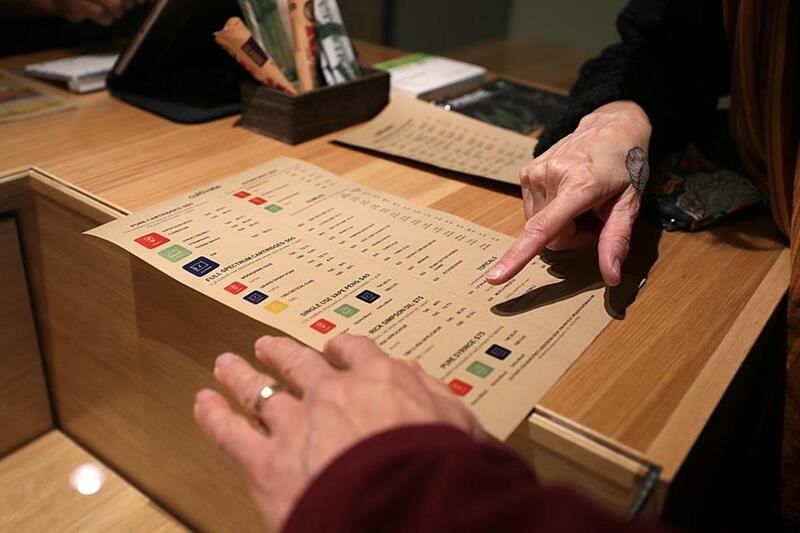 Customers looked at a medical marijuana menu at Cultivate.